Moving from Pennsylvania and leaving a broken romance behind is the best decision Titus Fisher ever made. But is he ready to consider love again when he meets two women as different as night and day? 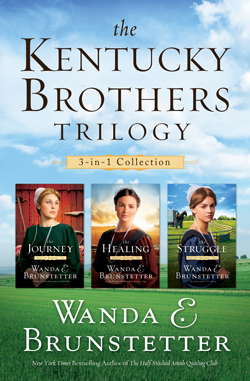 Single father Samuel Fisher is still grieving over his wife’s untimely death when his brother Titus convinces him to make a fresh start in Bluegrass Country. But can he find hope in tomorrow when burdened by yesterday’s memories? When Timothy Fisher decides to move his family to Kentucky, where his two brothers now reside, his wife is reluctant to go. Will they find a new home—together?